Om is a sacred mantra; an intonation that vibrates throughout the body, aligning with the soul. It signifies God, representing oneness and divinity. Past, present, and future are all encompassed by this ancient sound. 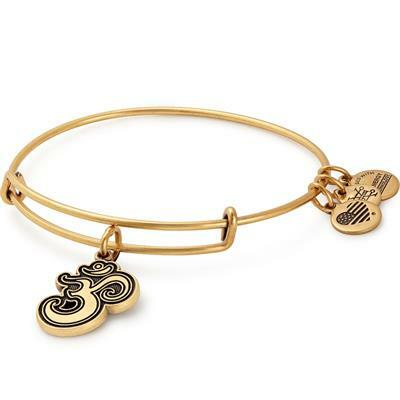 Connect body and spirit with the Om charm bangle. Packaging: This bangle comes in a black organza pouch.